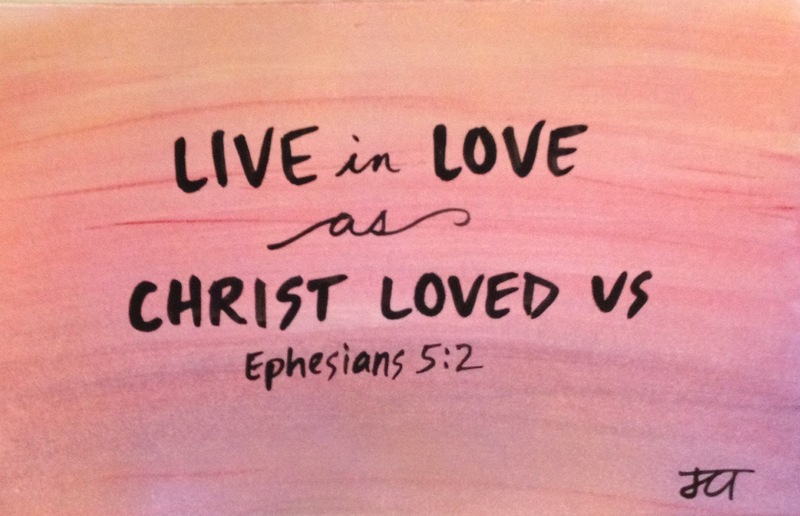 You could win a one-of-a-kind scripture watercolor similar to the one pictured here! These paintings were inspired by Grace & Peace: Devotions for Lent 2015 for which I was one of three writers (see cover photo below; click for more information or to order now). The paintings all have the same verse, “Live in love as Christ loved us” (Ephesians 5:2), but since the backgrounds and scripture verse were all hand-painted by me, no two paintings are exactly alike. Winners will be announced here on the blog on Thursday, February 12, 2015 and will be notified using the e-mail address associated with the comment. If your name is chosen, I will ask you for a mailing address to send you the painting. If your name is not picked, please know that I appreciate your support. I am so excited to see this project getting into people’s hands. And of course, I pray this resource will enrich you as you draw close to God in your Lenten pilgrimage. 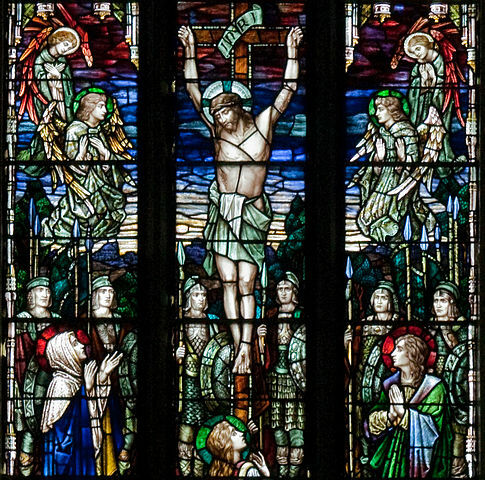 Today is “Good Friday,” the day we as Christians commemorate the suffering and death of Jesus. For a dramatic narration of the story by Nashville’s Charles Esten (aka “Deacon”), click here. But it is hard for me to get my mind around the idea of an untimely death being a good thing. I don’t talk about this much, but in the past several years I have lost two twenty-something cousins. The young men, Michael and Phillip, were the only two children of my aunt and uncle. They died about two years apart, both in car accidents. Growing up these were the cousins that I saw most often. Even after I was married we would spend holidays together whenever possible. I’d say we were pretty close. I’ve been reflecting lately about how I’ve felt especially dysfunctional in terms of things like housework. I’ve always been a little lax, but there was a time if company was coming I could step up my game and get my house to a shine. Now though, I just can’t care about that shine anymore. As I thought about what changed–or rather–when that change occurred, I realized there was a distinct shift when Michael died (he was the first one to die). It hit me hard. Just nothing was the same anymore without Michael’s shining smile in this world. And then when Phillip died too, it was grief upon grief, tarnish upon tarnish. Shiny, happy housekeeping held no meaning for me anymore. I still don’t have nearly as much company or as many dinners and parties as a once did. But even when I do, I just figure you’re willing to enter my mess then we can really be friends. And maybe it’s a protection. To love like I loved (still love) those little cousins of mine…and to lose them both? I mean, that kind of loss makes it hard to want to love that hard again. It always seemed to have hit me harder than it should have–I mean, I’m just the big cousin. I don’t even know how my aunt and uncle–the parents–get up every morning. And then there are the questions upon questions…Why them? When then? Why death? So you see why I have trouble thinking of an untimely death as a good thing? I don’t accept that God wanted it that way. I can’t embrace a God who wills people dead for some larger purpose. Or at least I won’t if that’s the kind of God our God is. So then, the untimely death of God’s own son? Am I supposed to accept that? To accept that God gave up what no parent should ever have to give up? This is where our language about God and our understanding of God’s nature get confusing. See, all the God there is came to us as Jesus. God didn’t send an agent that was somehow apart from Godself. God is Jesus. Jesus is God. Our very God gave up God’s own shine to be one of us. The cruel fate of an untimely death was not something that God did to someone else. No, God submitted to human punishment & sentencing. God endured humiliation and death for our sakes. The untimely death of God is the most baffling of all. But if anything could ever shine despite death, then it would be because God conquered the very death that threatens to overshadow our world. We know that God did not stay dead. He rose victorious from the grave and conquered death itself. Death does not get the final word. 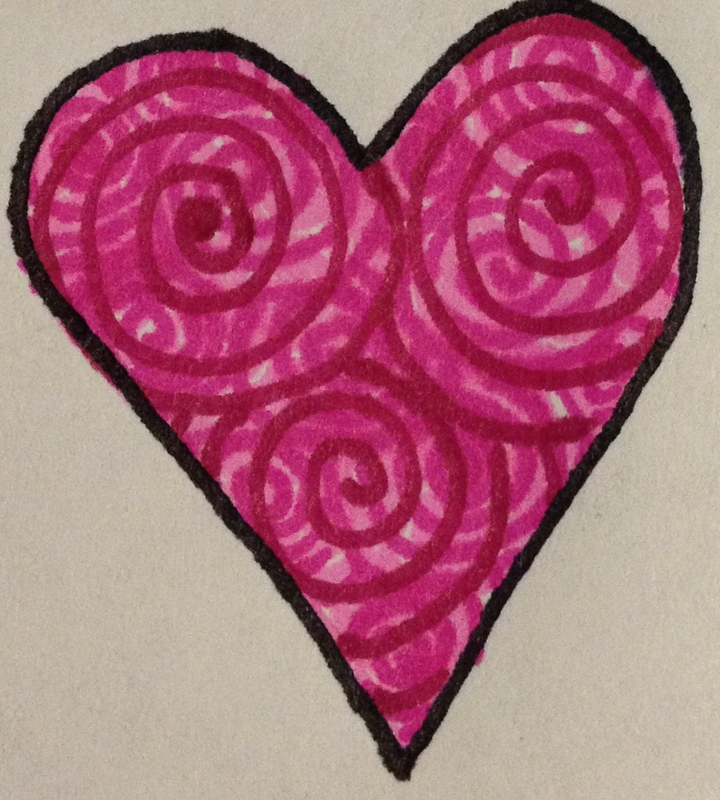 And whether we feel shiny, happy, or we’re still grappling with some kind of grief, we know that love wins. God’s love shines through for us always, all the time, no matter what. 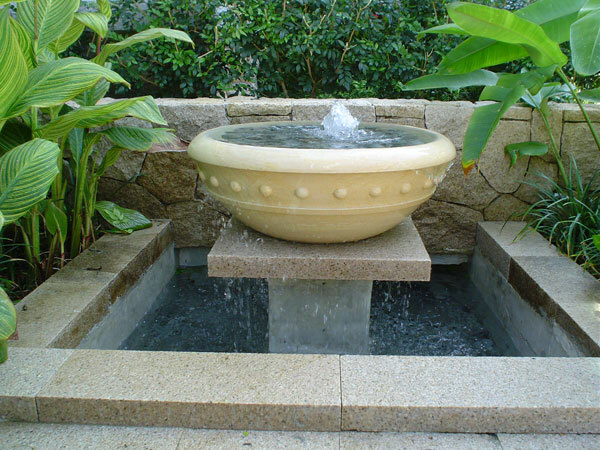 A basin of water, a fresh-baked loaf of bread, wine ready to be poured out, these are things we can get our hands on. These tangible things wash over us, fill our mouths, and warm us with the love of God. God’s love is so deep it can’t be contained in a basin, a basket or a cup. It overflows all over the place, all over this whole world. Jesus invites his followers to be a part of sharing that love. In fact he gives it as a new commandment (or “mandate” from which we get the term “Maundy Thursday). Jesus says, “Just as I have loved you, you also should love one another,” (John 13:34). Yes, Lord. If you say so, we know it is good and right to do. We know it is right because you showed us. We know it is right because you did it first. We know it is right, but do we do it? Do we really love as Jesus first loved us? It is one thing to do to others as you would have them to do to you. We can weigh and measure such things. Would I want my friend to talk to me in that tone of voice? Would I want my colleague to ignore a deadline? Would I want my son to flippantly say, “I don’t know“? That kind of loving we understand. We may not always like it, but when we bring these questions to mind we can see a way forward. This new commandment though, to love as Jesus loves? How do we even measure that kind of love? Even if we do take pause to think about the implications for that in our lives, how do we even begin to love that much? The only way we could possibly begin to love that much is when we ourselves are completely overwhelmed with Jesus’ love in our lives. That’s why we keep getting our feet washed, why we keep eating bread and drinking wine. 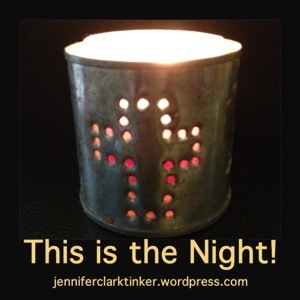 We keep these rituals and practices to absorb the magnificence of Jesus’ love for us. And as we ourselves are immersed in that love, we are filled with it and we exude it and can’t help but overflow with it. May God be with you in your observance of these holy days, as you experience the love of Jesus, soak in it, eat all the crumbs, and lap it up. May you see, hear, feel, smell, and taste his love as you return to the cross. May you be assured to the depths of your being that his love conquers death. May his love fill you to overflowing.